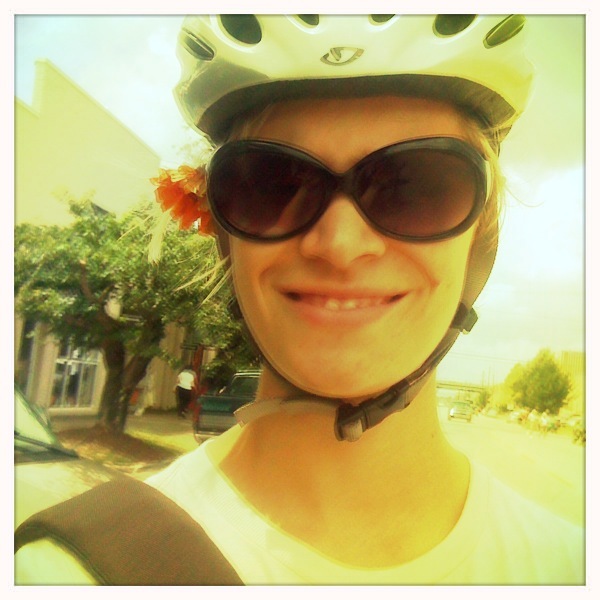 BikeSkirt » Blog Archive » Saturday salutations! Hello from Pepper Place farmers market. I spent my morning selling veggies and flowers (today I was mainly the flower girl) for Jones Valley Urban Farm. I wandered around for the last little bit picking up a lavender plant (to make Peach-Lavender butter from this book! ), pork sausage and blueberries. I love you today a lot.